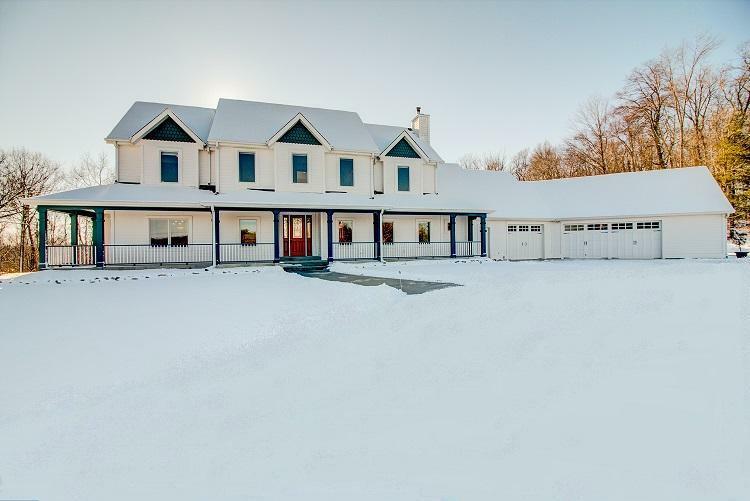 Serene country home on picturesque 5 acre lot built to entertain! Impressive professional grade kitchen includes Wolf 6-burner range, dbl oven, pantry w/ sink, massive side by side refrigerator/freezer and oversized island. Master suite is conveniently located on the main level. Master bath includes his/her dual shower heads, vanities and tremendous walk-in closet. Living Room is kept bright by amazing wall of windows overlooking gorgeous woods and pond. LL walk-out rec room includes wet bar, unique office, bonus room and workout space. 7 car attached garage with infloor heat. Property also hosts 2.5 car detached garage, shed, and barn for storage. Grounds are kept luscious with help from inground irrigation system. Located 8 miles from Cedarburg and 15 miles from Jackson or West Bend.